“Offering comprehensive solutions for the manufacture, logistics and engineering of on-site production and seamless stringing of high density polyethylene (HDPE) pipe systems through mobile extrusion plants, Tubi is your one-stop-shop for HDPE. Tubi works at the highest standard of global industry testing to provide high-quality structured pipe in accordance with Australian/New Zealand and ASTM standards. 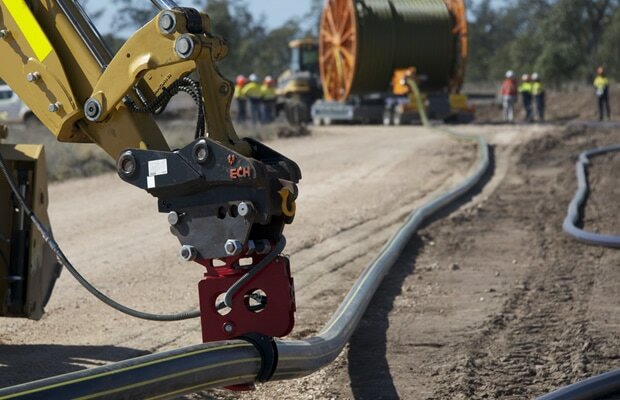 It supplies long-length HDPE pipe in sizes ranging from DN/ID 90 mm to 3,500 mm, suitable for a magnitude of different pipe applications.